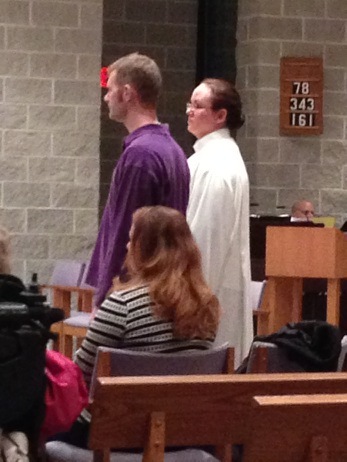 This past weekend I was baptized, confirmed and took first communion in the Catholic Church. It was a big step for me because my family has not ever been overly religious. My parents never had me or my sisters baptized when we were babies. They wanted us to chose our own faith. They had been forced to attend church when they were children and so they promised that they wouldn’t do that to their kids. After getting married and attending the Catholic Church since that time I decided that perhaps I would go down the path of joining the Catholic Church. I come from a long line of Methodists. My younger sister and I used to attend Sunday School at my mom’s church, the same one where my parents had been married. Most of the people in my hometown attended our little country church. When I was in first grade our church received a new minister. I don’t remember much about him, but I definitely remember his kids. They were not nice girls. The oldest one was arrested for shoplifting from the department store where she worked, and the youngest one was constantly leading other kids into trouble and then pinning it on them. My sister was accused of misbehaving quite a few times due to this girls’ inability to get herself into trouble. I’m not sure what I’m reciting in this picture, but I do know that this was the last time we ever attended this church. 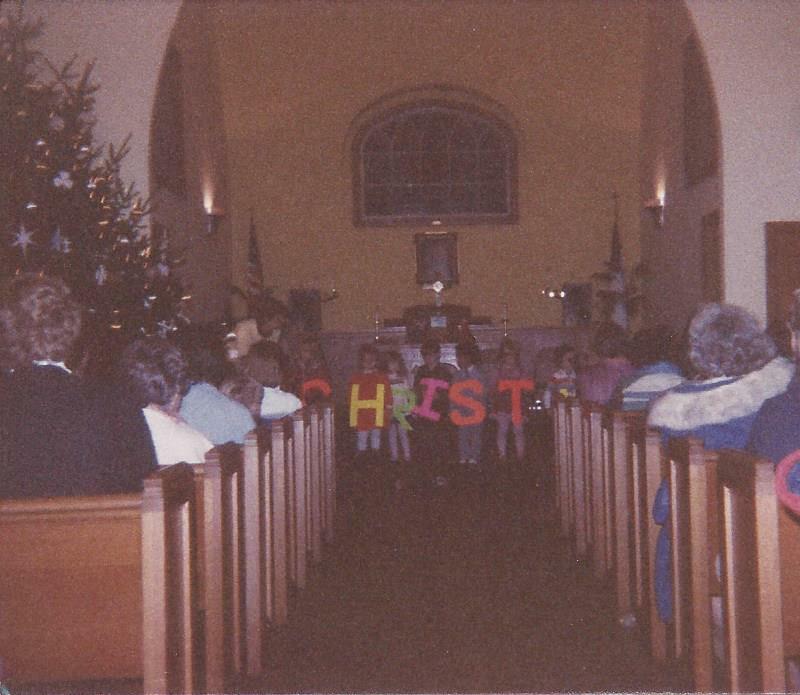 This was our Christmas program in 1986. At this service the minister announced that he fully expected everybody to give the church at least 10% of what they had spent on gifts that year. That was the last straw for my dad; he basically forbid us from ever attending that particular church while the minister presided over it. The sad thing is that we weren’t the only family who left… this minister ended up chasing most of the people off. On Sunday morning the parking lot used to be overflowing with people having to park on the road. Now if you drive by there you’re lucky if you see a dozen cars. I can name numerous situations where somebody has harassed me with their religion or tried to tell me how sinful I was and that God would never accept me into Heaven if I didn’t accept what they were trying to get me involved in. Oh, and then there was the Born-Again Methodist Minister who married my aunt and ended up taking her for a financial ride that cost her a lot just to get out of the marriage. The last I knew he was working on some other hot young thing who had money and no husband. Because I didn’t have any other background, and I was going on limited knowledge, there came a point in my life where I decided that if there truly was a God and He loved me, then why would he let so many terrible things happen to me and my family? I can almost remember the moment when I gave up on Him and decided that He didn’t exist. Instead of looking for a better answer, though, I shut Him out. During college I started exploring other religions. I had this missing piece of me and I was trying to find it. For a while I explored Wicca. 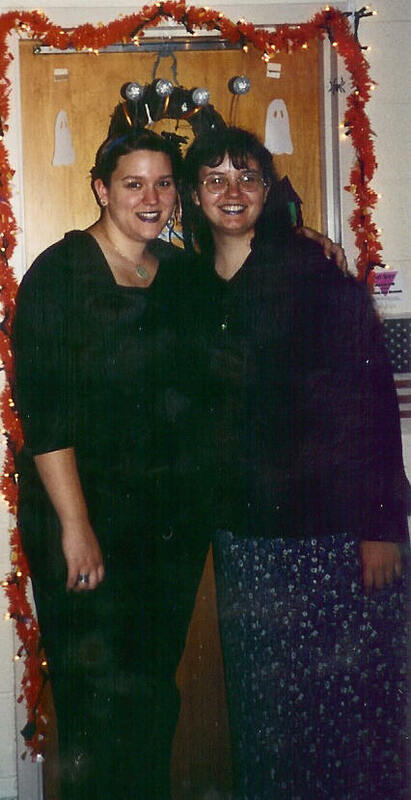 My closest friend in college was Wiccan and I thought that maybe I had discovered something that really felt “right”. I enjoyed going to Mediums and getting a reading done. I had a deck of Tarot Cards that I messed around with, though I never felt like I really could get anything out of them. After college I kind of listed here and there. Wicca really wasn’t right for me, and I knew that. Yet, what was? I knew that I wasn’t an Atheist or an Agnostic. There was something much bigger than all of us, I was sure about that. But what? I spent quite a few years trying to figure out my faith. It was strange because in college I was surrounded by friends who were VERY strong in their faiths. All of them, except my Wiccan friend, had a very good relationship with God. They were all strong believers and I envied that. Yet, I was raised by parents who felt that to believe in God you didn’t need to attend church or read the Bible. Faith was just that… faith. You just had to believe. Not that it’s necessarily wrong, but I guess that I needed something more. To be completely honest, my journey to Catholicism began in 2008 when I started listening to Glenn Beck’s radio program. I’ve tried to remember how I was introduced to Glenn’s program, but honestly I have no clue. It seems like I just suddenly started listening to him out of the blue. He kept talking about how we had to return to what had made us strong; Faith, Hope and Charity. Despite what many people might think, Glenn was not one to “preach” or shove his religion down your throat. Maybe that’s what caught my attention. When he did talk about God he talked in a way that made sense to me. Glenn made me think that maybe I had been wrong and maybe God actually did exist. Perhaps I should start to explore this a little more. Since I was raised a Methodist I returned to my roots and attended a Methodist church a few times. It was nice, but it didn’t leave me feeling like I had found what I was searching for. It could have just been the church itself, and not necessarily the faith, that made me feel this way. I was in search of God, but where would I find Him? As soon as I heard Glenn Beck mention that he was going to hold a Restoring Honor rally at the Lincoln Memorial in D.C. I knew that I had to attend. Leading up to this event we didn’t know how many people were going to show up. It wasn’t a political rally. It was about Faith, Honor and standing up for what you believed. I remember that Glenn kept saying that he didn’t even know how many people would join him there. He worried that nobody would show up. 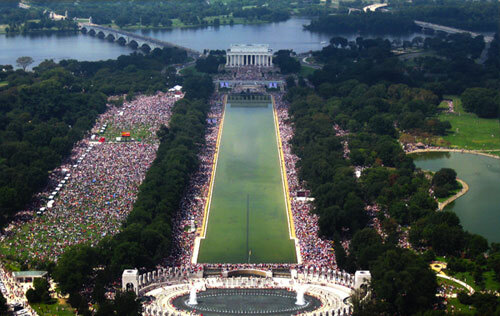 Let me tell you, there were close to 300,000 people on the mall that day. With all of the speeches that I heard and all of the things that were experienced, the one thing that I vividly remember is standing in that crowd and hearing everybody sing Amazing Grace. It gives me chills just thinking about it. Curiosity got the better of me and I asked Jay’s mom if I could attend church with her one Sunday. I actually think that it was Easter Sunday that I asked to attend with her. 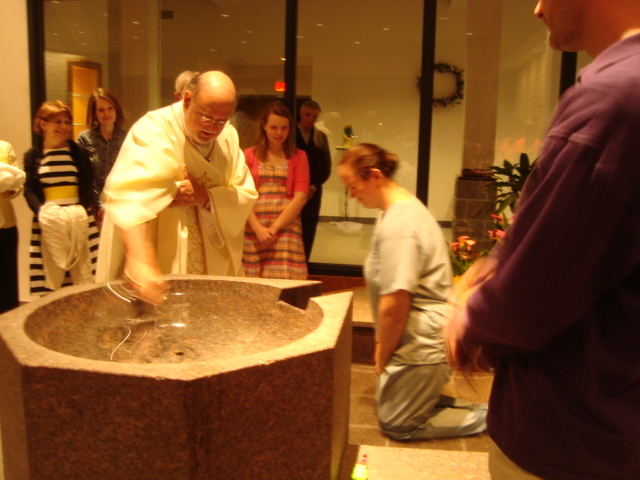 I remember feeling intimidated by all of the things that I didn’t know about the mass. I was confused about why they were doing certain things and what it all meant. I had really been disappointed when we had walked into the church and I didn’t see a single piece of stained glass. Their church was fairly new so it wasn’t one of the old Catholic Churches that people often think of with the super-high ceilings and the saints staring down at you through their vividly colored panes of glass. This church didn’t have that austere, cold and overwhelming feel that most churches have. This one was cozy, warm, and welcoming. The people whom I met that day were very nice, too. Yet, I felt odd. I didn’t know any of the hymns, they didn’t have a choir, and the motions were alien to me. Finally, though, there was something that I could join in on… the Our Father. I knew that one! When Jay and I decided to get married part of that decision involved attending church. He had grown up in the Catholic church and we both felt that we needed God as part of our marriage. We joined his mom’s church (which absolutely thrilled her!) and we began attending regularly. I never meant to convert. It wasn’t a condition of marrying in the Catholic Church and that was fine with me. 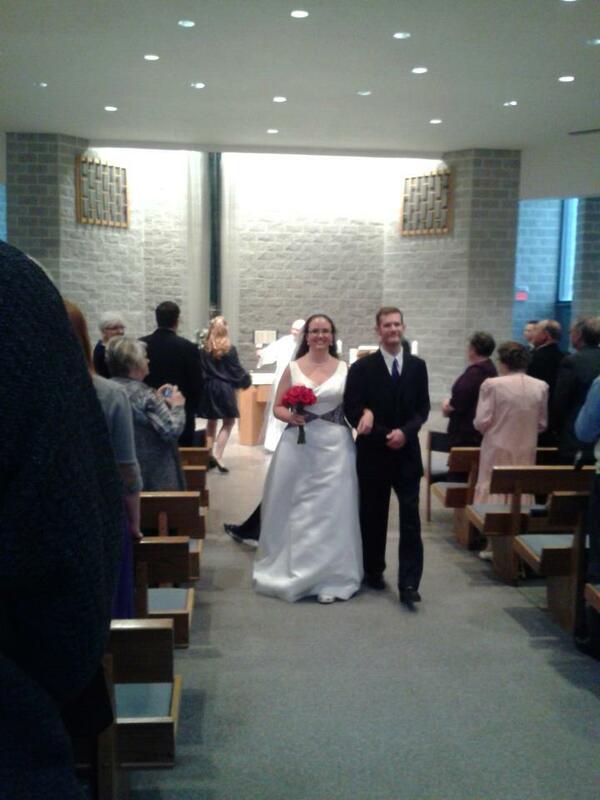 Shortly after we were married the church hired a new music director and a choir was formed. I have always loved music and this gave me a chance to be part of a choir again, so I joined. 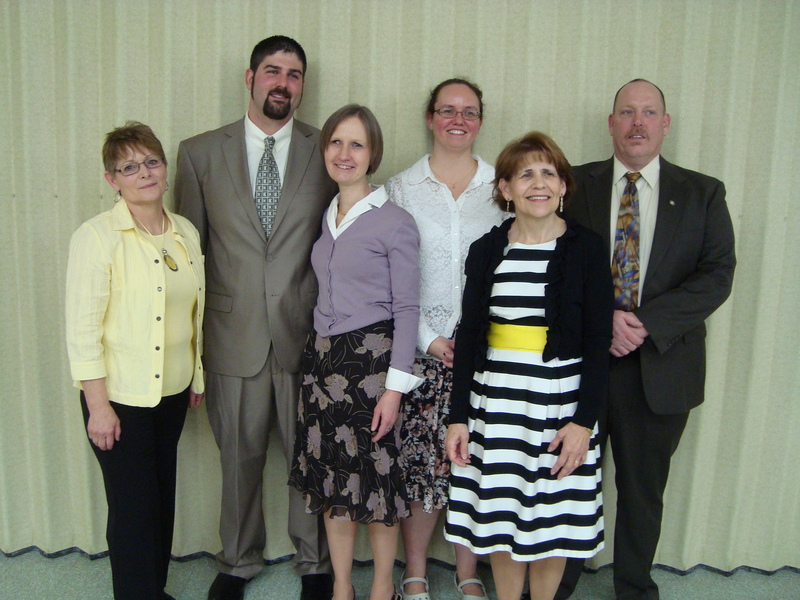 Then I found myself helping Karen, my mother-in-law, at some of the church functions. I saw the need for people to make casseroles for the Casserole ministry at church… so I signed up. The people in the parish were so warm and welcoming, and they accepted me right away. All I had to do was say, “I’m Karen’s daughter-in-law” and they knew exactly who I was. One day I thought about it… here I was attending mass every Sunday, I was participating in a lot of church activities, and I really enjoyed what I was learning. If we had kids how would I explain to them why I would be part of the Catholic Church without actually being Catholic? I was allowed to choose my own faith. 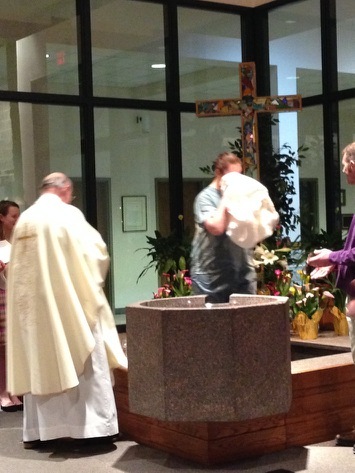 I had never been baptized. I contacted the Religious Education lady at church and began participating in the Rite of Christian Initiation for Adults classes that the church offered. It was quite the process, but one in which I was never rushed or felt like I was forced into. The women who are part of the group are wonderful and made the entire journey so enjoyable. I never felt afraid to ask a question or volunteer my thoughts on something. 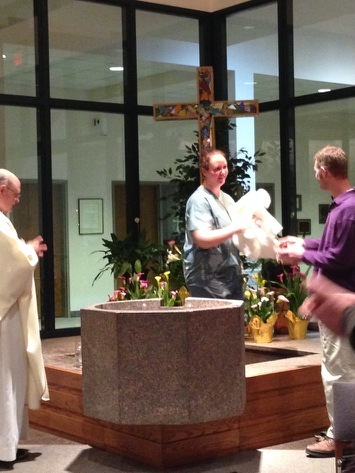 At the Easter Vigil I was baptized. Everybody was so excited for me. I was a bit anxious, again I was worried about disappointing my parents, but yet I was looking forward to it, too. I don’t remember a whole lot of the detail. They did a good job making sure that the water I had to kneel in was warm. 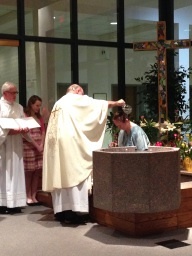 And the priest really enjoyed pouring the water over me! 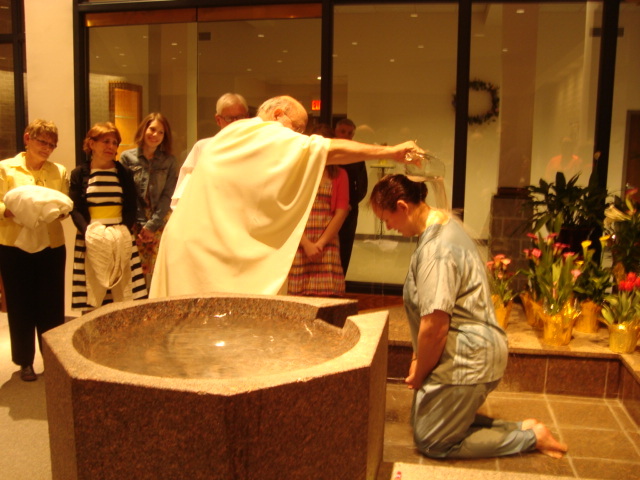 I was dressed in my scrubs, with my hair pulled back into a bun, and I listened to the priest say whatever it was that he was saying while I wondered how many times he was going to pour the water over me. I have had numerous people who were in attendance that night tell me that as I came up out of the water, I was glowing. Glowing? Dripping wet, yes, but glowing? Looking back I don’t remember smiling. 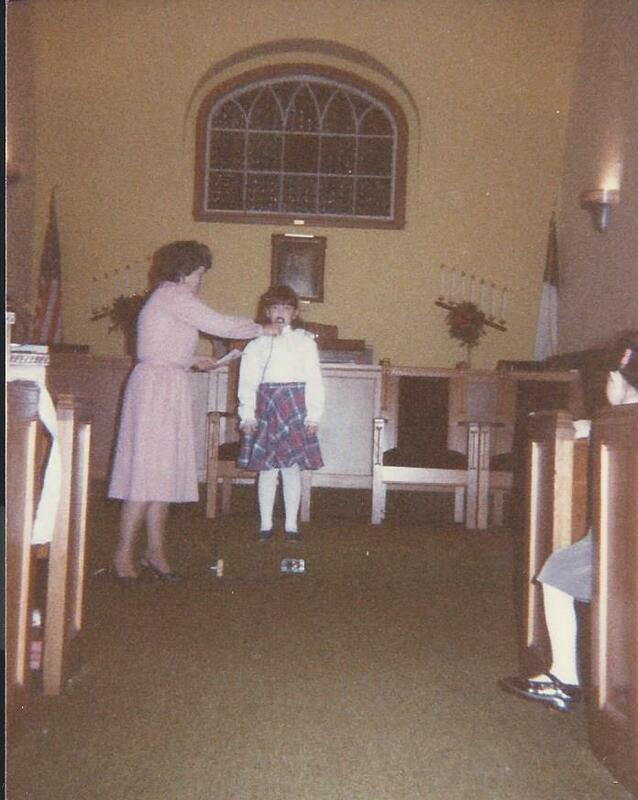 I remember being worried about dripping water on the church’s carpeted floor. The biggest thing, though, was the feeling of warmth and love that I felt. There were so many people there that night who were so happy for me that I felt completely surrounded by love in all of its forms. So, perhaps I was glowing. 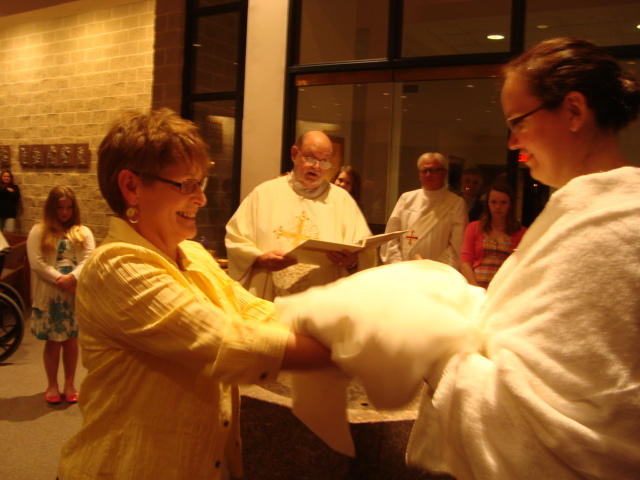 Before kicking me out to change, I was presented with one of the priest’s robes to use as my baptismal gown. Sue, one of our RCIA leaders, was so thrilled and excited for me. She had the biggest smile on her face! It was a long journey, but one that I’m glad I took. There were two other guys in the RCIA classes with me who were confirmed and brought into the church Saturday night, too. This has been quite the experience for all of us. We’ve made some new friends and learned a lot about ourselves along the way. I will actually miss the classes now that they are done. Oh, and I feel like I’m becoming part of the parish and am not just “Karen’s daughter-in-law.” I had a woman recognize me in the grocery store and she asked if I was part of the choir at our church. I told her that I was and she became all smiles and told me what a wonderful job that I do. It really made me feel good. I feel like I’m part of the community and that I belong there. It’s a wonderful feeling. This entry was posted in Catholicism, Faith, Spiritual and tagged Baptism, Catholicism, Faith, Glenn Beck, God, spiritual. Bookmark the permalink.